Felicity MacGregor and Gabriel Flanagan grew up in Knights Bridge, Massachusetts, best friends from an early age who shared their lives and their dreams of leaving their small town for a larger world. For one night, they were lovers as well, but, fearful of jeopardizing their special friendship, they retreated. Their friendship remained solid during their college years and their early post-college years. But when Felicity crashed and burned in a series of jobs as a financial analyst, Gabe, in a move that exemplifies the difference in male/female communication styles, gave her not the comfort and support she was seeking but the blunt truth as he saw it: she had chosen a career that was all wrong for her in an effort to please her family, and she needed a career change. Felicity left his apartment where she had retreated after her most recent failure, broke and disheartened, and her departure marked the end of their friendship. Felicity discovered Gabe was right about her career. Three years ago, she stumbled into corporate event planning and found she liked it. Nine months ago, she returned to Knights Bridge and bought a house designed by Gabe’s brother Mark and built on river-side Flanagan land as familiar to Felicity as her own childhood home. She started an event planning business, and with her finances in better order, she is beginning to feel like a successful adult. She loves her job, but she is taken aback when she learns that the corporate boot camp organized by Dylan McCaffrey (Secrets of the Lost Summer), her first corporate event since her return, has added a new speaker to the lineup. Gabe Flanagan is returning to his hometown. After selling his latest business for a bundle, Gabe is at loose ends while he decides what start-up he will focus on next. When he met Dylan in California and received the invitation to speak at the workshop for entrepreneurs, it seemed a good opportunity to pay a brief visit to Knights Bridge and spend some time with his family before he started a new venture. But he was not expecting to encounter Felicity nor to find that Mark had sold her the river house. Gabe decides that it is time to call in the favor he did Felicity three years ago and invites himself to be her guest during his stay in Knights Bridge. Thrown into each other’s company, Gabe and Felicity discover that their shared memories are stronger than the difference that ended their friendship. Will they also discover that the feelings that turned friends into lovers for one memorable night are also still very much alive? This novel is the eighth book in Neggers’s Swift River Valley series. I have found it to be an uneven series, with some books fully engaging reads and others barely sustaining my interest. Unfortunately, The River House falls into the second category. Gabe and Felicity are likable characters, and reunion stories are my favorite. I wanted to like this book, but I had two major problems with it. First, too much of the story is recapping earlier books. Since I’ve read the other seven books, all the repetition quickly became irritating, Second, there is a stalker sub-plot that seems irrelevant and eventually fizzles out. It is difficult to believe that Neggers, who has written some excellent romantic suspense novels, could produce so inept a suspense thread. 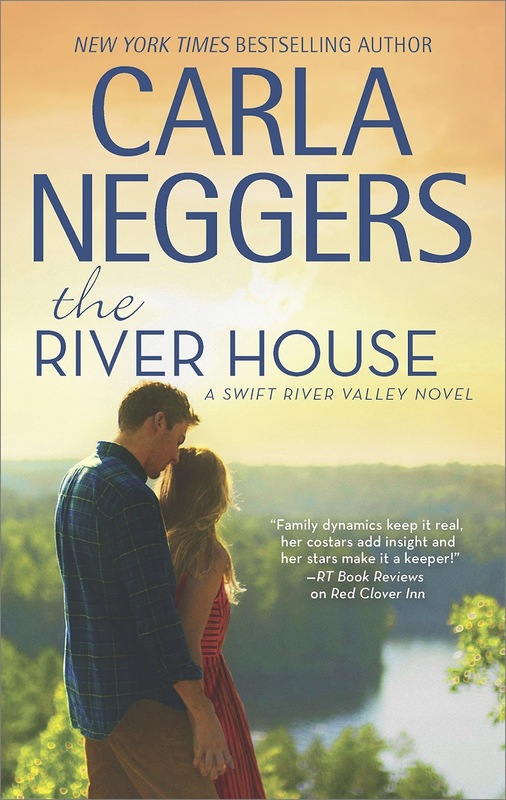 The River House is not a throw-it-against-the-wall book, but I did find it disappointing. If you are a fan of the series, you may find updates on couples from earlier books reward enough for reading this one. Otherwise, I suggest skipping it and reading the first two books in the series. Sounds like an interesting series that I need to check out. Thanks for the review.